Women artists and their work were routinely dismissed as inadequate imitations of their male equivalents. The 1970s and 1980s women's art movement reclaimed female artists of the past and insisted on the validity of content about women. Some events, like the Women's Art Environment, held at the Canterbury Society of Arts gallery, Christchurch, in 1977, were open to women only, for part or all of a showing. 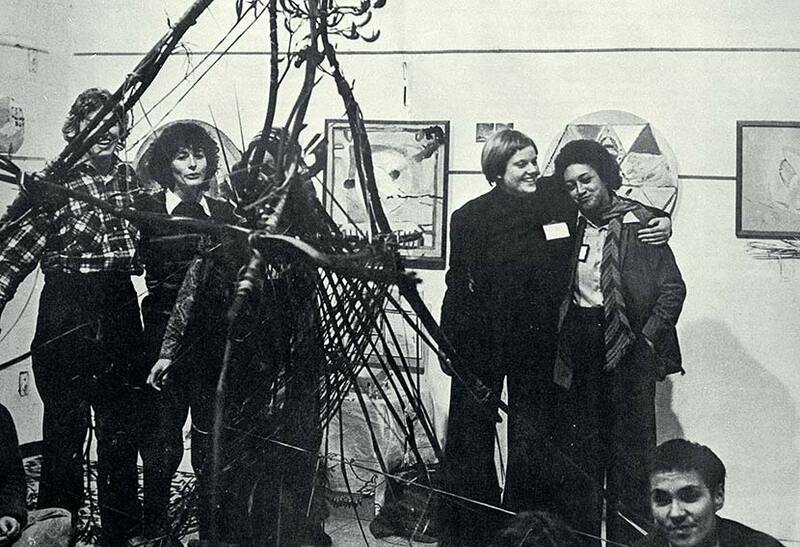 Shown here is a tepee that was part of the 1977 show, with artists standing behind and to the right.